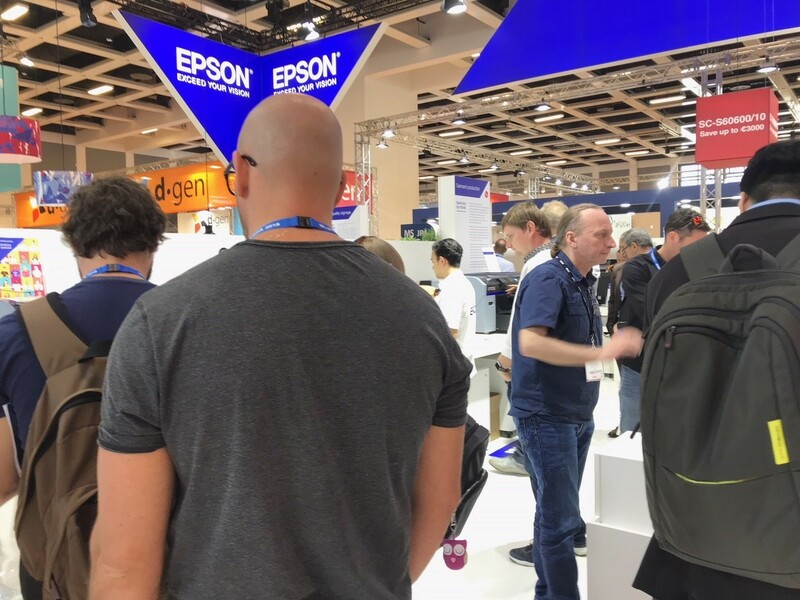 Visitors to the Epson stand will see new products, applications and creativity at FESPA 2019. Stand G10, Hall B, FESPA, Munich, 15-18 May. 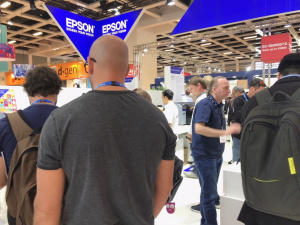 Expect some new products on the Epson stand at FESPA 2019 in Munich in May. Epson will also be showcasing a selection of students’ design work in the décor and furnishings on the stand. The stand will be production focused but also eye-catching and among the new designs will be work produced by university fashion and textiles students. This year Epson has been working closely with Birmingham City University, University of Westminster and Central St Martins – each fostering the textile and fashion designers of the future. Epson Edge Print software for S-series and F-series printers will be highlighted. This software supports Epson’s Precision Dot technology, including its halftone module, look-up tables and micro-weave combining to make an instantly noticeable difference to print quality. In addition, Epson is continuing to expand the range of available colour profiles to optimise print quality on the most commonly used media. Epson will also reveal printing on new commercial materials, including faux leather. Epson will introduce some new production grade media to fill a gap in the Epson portfolio of photo papers. It will be available in gloss and semigloss surfaces at 200gsm weight and is aimed at Epson T series and P series users producing photos and high end posters. Other décor, giftware, signage, proofing, photography and backlit products will also be displayed and produced on the stand.